It’s the flip side to being hungry all the time: what on earth do you do when your appetite just isn’t showing up to play? When you count up your food and find you’re eating almost nothing – not because you’re trying to starve yourself, but because you just aren’t hungry for it at all. You don’t even want to eat. This can be great for weight loss, but it can also be pretty scary to experience without knowing why, and you might be wondering whether you’re accidentally depriving yourself of necessary nutrients on such a tiny amount of food. So why could this be happening? Ketosis is a metabolic state where your body runs primarily on fat for energy, instead of carbohydrates. You achieve ketosis by eating a very low-carb diet. 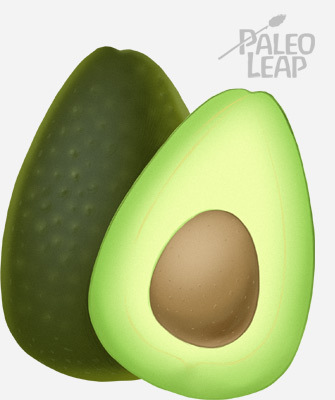 Whether you were intending to eat a ketogenic diet or not, if you don’t make an effort to eat any tubers or fruits, you might end up accidentally taking Paleo in a ketogenic direction. And one of the best-known side effects of ketosis is loss of appetite. There’s nothing necessarily wrong with this – it’s one of the reasons why ketogenic diets can be so great for weight loss. If you want to lose weight or don’t mind the appetite loss, then just sit back and enjoy the hunger-free ride! On the other hand, if you weren’t trying to lose weight, this can be a problem. For an athlete going Paleo to improve the health, for example, a ketogenic diet can be a disaster: suddenly, they aren’t eating enough to fuel their workouts, and performance goes down the drain. The fix for this is simple: try adding some more safe starches into your diet and see how you feel. You might find that your appetite comes back all on its own. Another potential cause for a loss of appetite is that you are hungry; you just don’t realize it. You’re not hungry in your stomach. But do you get tired, grumpy, cranky, or scatterbrained – and then notice that the problem improves as soon as you eat? In that case, your body is still telling you to eat more – just for whatever reason, the signal isn’t coming through your stomach. Instead of waiting until your stomach starts rumbling, start paying attention to your concentration and mood. Can’t focus on anything? Or are you snapping at everyone around you? Maybe it’s been a little too long since your last meal. This can take a few weeks to get used to, but once you get the hang of it, it’s not any harder than waiting to feel stomach hunger. Again: these are all statistically unlikely to be the reason for garden-variety loss of appetite. But if you already know you have one of these conditions, it might be worth talking to a doctor about. Chronic stress can also depress appetite very effectively. Fight-or-flight mode means elevated stress hormones, and one side effect of this is a depressed appetite. Your body is trying to help you survive by eliminating all distractions: if you’re running away from a tiger, the last thing you need to be worrying about is what you’re making for dinner. Traumatic life events like the death of a family member, or even the long-term misery of a horrible job, can keep you in this appetite-suppressed state of chronic stress. And it’s very important to note that chronic starvation diets can also stress your body in exactly this same way. At a certain point, a starving person stops being hungry and starts feeling “buzzed” and full of energy. The person is still starving; their body is just trying to help them get up and find more food before they die of malnutrition. In this case, the solution is simple, but unpleasant: eat anyway. You still need food; you just don’t realize it. Starving your body will not help you get past this tough time in your life. All kinds of miscellaneous things can lower appetite. One big cause is first-trimester pregnancy. Even if they don’t get morning sickness, some women just stop being hungry. 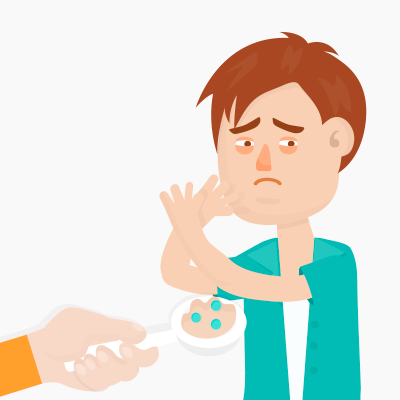 Some antibiotics, pain medications, and other meds can also cause loss of appetite. If this is a short-term medication, it might be fine to just wait it out – you only need to take most antibiotics for a week or so, and a week of slightly lower food intake won’t do any serious damage. If it’s more of a long-term situation, your doctor might be able to suggest an alternative medication that doesn’t have the side effects, or give you some tips for re-awakening your appetite. After considering all the possible causes, you might decide that your low appetite is nothing to worry about: you feel fine, you’re not weak, grumpy, or depressed, and you’ve ruled out major causes like chronic disease. In that case, there’s nothing you need to do! On the other hand, sometimes a low appetite is not just a sign that your body has enough food and doesn’t want more. And sometimes it’s important to eat even when you don’t feel hungry – for example, if you’re pregnant and need those nutrients to support your body and your baby. Go for calorie-dense foods. Don’t fill up on cucumbers and lettuce. Instead, choose healthy, high-energy foods like avocados and fatty meats: that way, you don’t have to choke down a huge quantity of food when you don’t feel hungry. Smaller, more frequent meals may help. Also try replacing a meal with a high-calorie smoothie – maybe made with coconut milk and honey to pack in some fat and carbs. Liquid calories often go down easier than solid. Enlist some help. Can you get your family or friends to help you remember to eat? Plan, plan, plan. If you’re not hungry, you won’t remember to eat on your own. Set a schedule and use reminders or food tracking tools to keep you compliant with your eating goals. A loss of appetite isn’t necessarily bad. It might just be your body running smoothly off its stored fat reserves while in ketosis, or a temporary situation like a course of antibiotics. On the other hand, there are some situations where appetite loss signifies a serious problem. There are plenty of times when it’s healthy to eat even though you have no appetite – for example, if you’re recovering from a starvation diet that put your body in survival mode. It’s worth seeing a doctor about sudden loss of appetite – not because there’s necessarily anything amiss, but just to check in. On the other hand, sometimes there really is nothing going wrong: you’ve hit the weight-loss jackpot and your body is burning stored fat reserves for energy without feelings of hunger. Congratulations! In this case, just relax and check back when you’ve lost as much weight as you wanted to, or when your appetite naturally decides to return.